The Palace Theatre was built in 1921 and has undergone constant upgrading and refurbishment since. 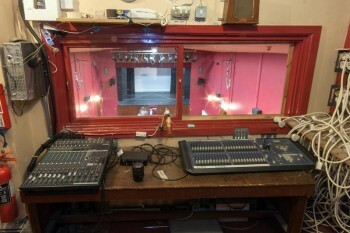 A large refurbishment was undertaken in the 1970’s/80’s and only recently a upgrading of the sound system has taken place. 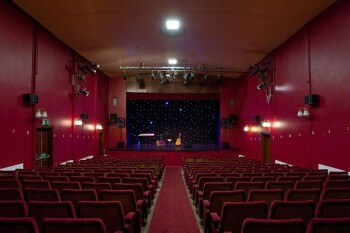 The Palace Theatre has a seating capacity of 265 seats with an additional 4 spaces for wheelchair users. There are both Male and Female bathrooms adjacent to the Theatre with a Wheelchair accessible bathroom available. A shop is also conveniently located adjacent to the Theatre for all your confectionery needs before and during the show. The Palace Theatre has played host to shows both big and small, plays, pantomimes, comedy and music gigs. It is a universal space which can easily be conformed to whatever use it is needed for. It is an excellent amenity that we are very privileged to have and would be the envy of any town or city in Ireland. 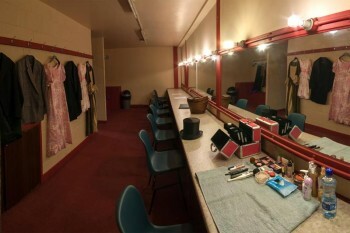 The Palace Theatre Facilities also include three dressing rooms which are available to be used for all productions taking place in the Theatre. 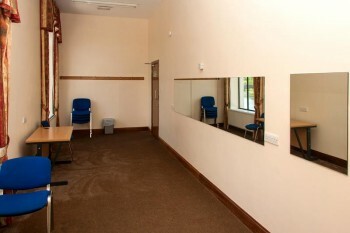 Dressing room one is located stage right and is accessible from both the stage and the auditorium. Dressing Room two and three are located upstairs and stage left. 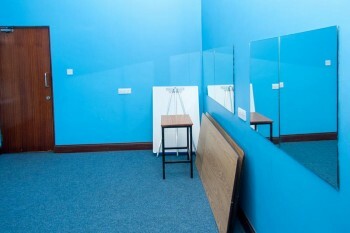 Both dressing rooms are accessible via an external stairway so movement from stage to dressing room is seamless. All Sound and Lighting for shows can be controlled from our technical booth which is located in an elevated position at the rear of the Auditorium. You can view our Technical Specifications by clicking here.